Severine, our French winemaker is from Lille. The land of beer, apples, and butter. As you know, she is a winemaker. Her sister makes beer, and her father is a cider maker. You could say the Pinte family has a very strong fermentation game. At LaStella, this translates into very broad tastings, Flemish beers, ciders, and the best Syrah. In the name of challenging our own palates, we’ve been on a quest to find ciders that remind Sev of home. Why would we do such a thing? Cellar palate is a real thing. You taste your own wine, or wine from the region you live in so much, that you become blind to new tastes, sensations, and what makes the world of wine and our own region, the Okanagan, so unique. We found one cider that brought Sev back to her childhood. It’s from Normandy, it smells of fresh apple juice and the smell of maturing apples within a packing house. 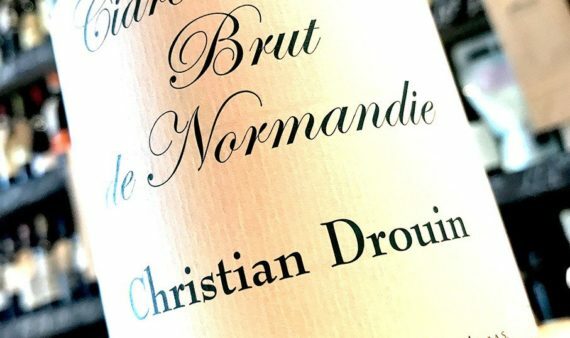 It is fresh yet a very subtle hint of bruised overripe fruit. The mousse of the cider tingles the palate, it is refreshing, only 4.5% alcohol. After the first sniff, Sev says, “this reminds me of home”. We succeeded. We bought out the local store, this is LaStella team approved. 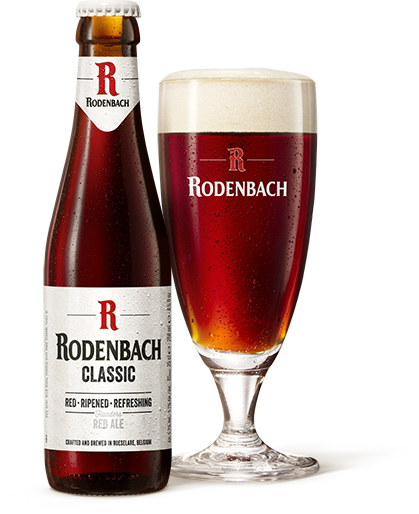 The Flemish Ale, Rodenbach, a classic red Flemish ale. 5.2% refreshing, slight red fruit, malt, subtle sour, acid for days… mussels anyone? We should always challenge our palates. Some of these beers are made with Brettanomyces. Bret is a very controversial subject within the wine world. Some love it, some hate it. The same follows in the beer world. There are stalwart fans of the lambic and sour beer movement just as much as there are Brettanomyces fans in wine. At LaStella there are a few of us that collect these beers and diving further into this style not only beneficial for our own palate development but specializes our beer cellars just as much as our wine cellars. 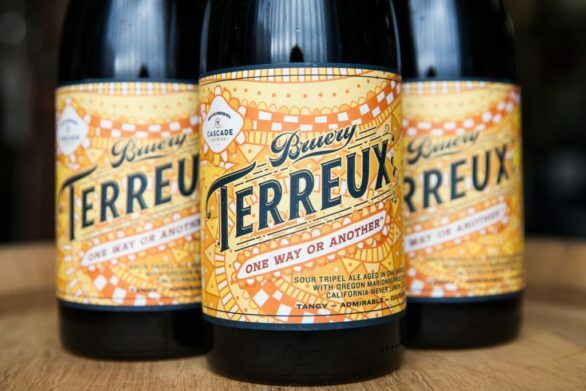 The sour beer we tried, a Cascade Collaboration beer with Brewery Terreux called ‘One Way or Another’. It is a barrel aged triple ale with marionberries and Meyer lemon. We cracked this beer at Allendale Lake this past weekend, cruising down the forest service roads behind Okanagan Falls brought us to a pristine snowy lake. The perfect backdrop for a beer tasting. Pull the cork, pour into plastic cups, sniff and sip. One word describes this beer, balanced. Tart Black Fruits, subtle sour note, refreshing and incredibly so, effortlessly carrying its 7.9% alcohol. This is something you can sip on a hot summers day, fireside upon a frozen lake, or knee deep in mounds of greasy food. Challenge your palate, it’s good for you.